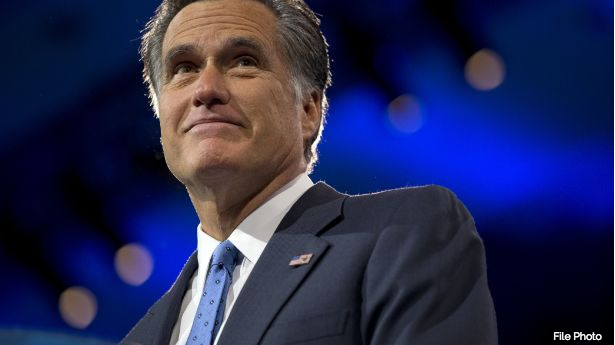 Mitt Romney’s family is still pleading for him to mount an independent bid for the presidency, the 2012 Republican nominee said Wednesday. Romney, speaking to CBS News’ John Dickerson at the Aspen Ideas Festival, said a son asked him as recently as Tuesday to do so. Romney did not specify which of his five sons sent him the note. Romney briefly considered joining the 2016 race in January 2015, but decided against it after former Florida Gov. Jeb Bush locked down many establishment heavyweights. Romney was approached again after Donald Trump became the presumptive nominee, but turned down the entreaties. I'm already planning on voting for Mitt as a write in, anyway. I just can't get myself to vote for either of the evils that are up for President. So, I am voting for the person I think who can best get our country back to its greatness. If he runs, then great, if not, well, then at least I voted my conscious and didn't vote for evil. Run Mitt, run. Love, Hillary.